Canning has become one of my favorite things to do to save money on food. Aside from the savings, I love the fact that I can provide healthy, shelf stable foods for my family when times are rough or we’re in the middle of an emergency. Plus, once you are bit by the canning bug, you’ll find that there isn’t much better than looking at row upon row of home canned goodies on a shelf. If you’re just learning how to can your own food, you may be a bit confused on what you need to start canning. 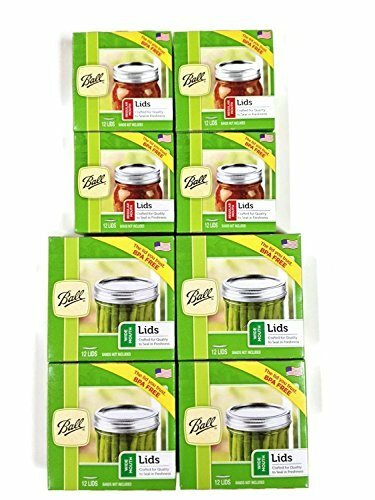 These must have canning supplies include everything you need to get your own home canned pantry started! Before you actually attempt to can your own food, be sure that you’ve taken the time to learn not only the basics of home canning, but also that you’ve brushed up on any canning safety tips you might have overlooked. It can be very easy to do, but botulism and other nasty organisms that can grow in your jars if they aren’t processed correctly isn’t anything to mess with. By the same token, don’t let those nasties scare you away from learning how to can you own food. If you’re looking to purchase a gift for someone who loves to can, these canning supplies also make fantastic gift ideas. Most of us who can our own foods never mind having a duplicate (or three!) which makes canning supplies an A+, go to gift idea for people who enjoy the process. Birthdays, Christmas or just because are all perfect ideas for these (and other) canning supplies. Once you check out this list of canning supplies, make sure to pop on over HERE and check out our mason jar gift ideas gift guide too! I say that these are must-have canning supplies, but some of them – especially the ones at the end – are more along the gift idea side of things than they are must-have. Do you need them to can? Probably not, but as someone who cans a lot; I need them. See how that works? One of the easiest ways to learn how to can is by starting with learning how to water bath can. It is by far the easiest to manage and the least dangerous version so most people are pretty comfortable with it. 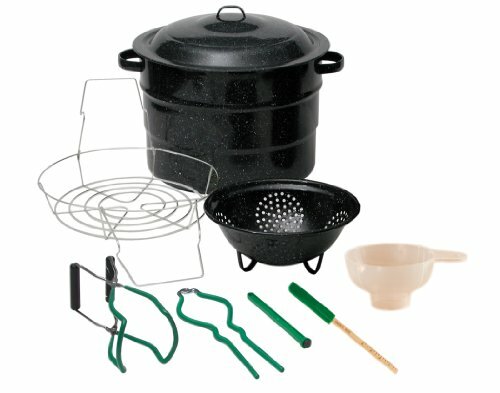 Because of that, I wanted to make sure that the very first thing on this list of canning supplies was this Granite Ware Enamel-on-Steel Canning Kit. 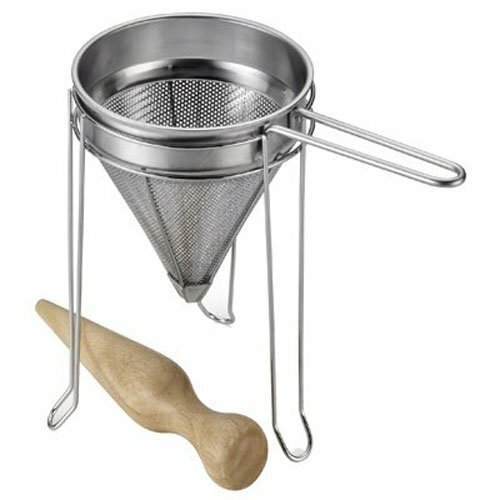 It includes a 9-piece set of canning tools and your water bath canner – also called a boiling water canner – with lid and rack. 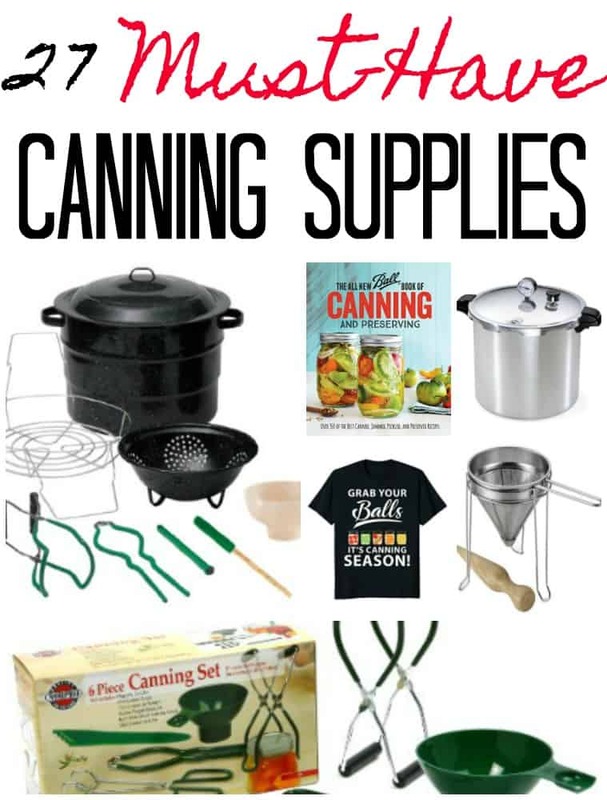 The second most important thing on this list of canning supplies is both of the Ball books. 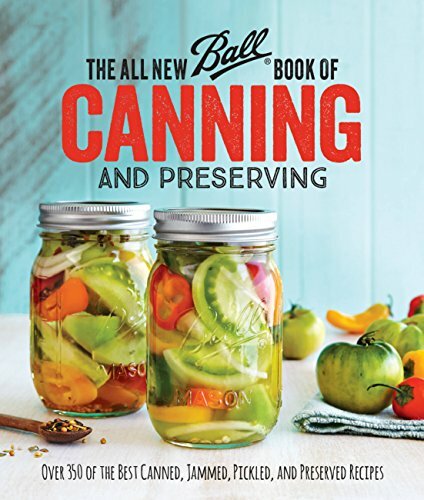 The All New Ball Book Of Canning And Preserving shown HERE is packed full of canning recipes for jams, jellies, pickled items and more. 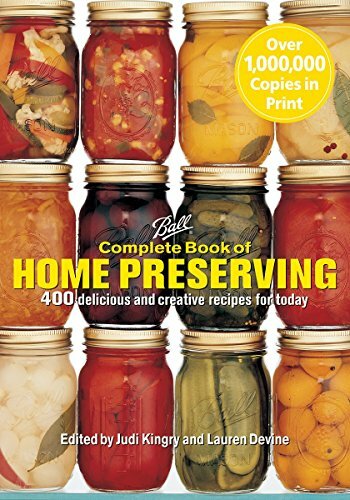 It is a must-have for anyone looking for new recipes for their jars. Side Note: Whether you’re buying these must have canning supplies for yourself or as a gift, be sure to sign up for an Ebates account before you shop. Ebates is a cash back shopping site that will pay you cash back on qualified purchases. 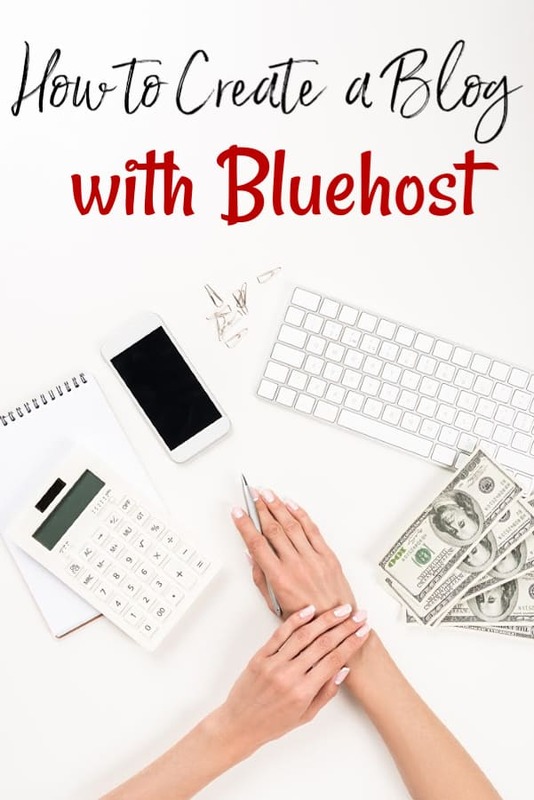 Plus, Ebates will give new customers $10.00 in FREE cash back when you create an Ebates account and make your first qualified purchase of $25.00 or more. You can check them out HERE. The second Ball book is the original Ball Complete Book of Home Preserving shown HERE. Not only is it full of canning recipes, but it also provides safety tips, tips for canning success and more. I consider both books must-have canning supplies for one reason. When you’re canning, you may not be able to hop online and find a piece of info you may need. If you have both books, you’ll always have that info right at your fingertips. Once you’ve mastered water bath canning, you may be itching to move onto canning meats, soups and other high acid foods. To do that, make sure to add a pressure canner to your must have canning supplies. 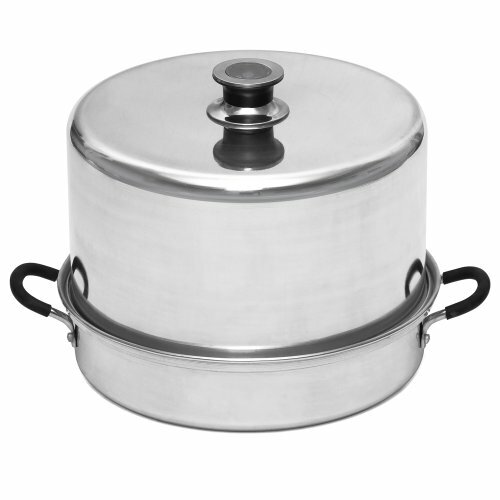 I started with and highly recommend THIS Presto 23-Quart Pressure Canner and Cooker. 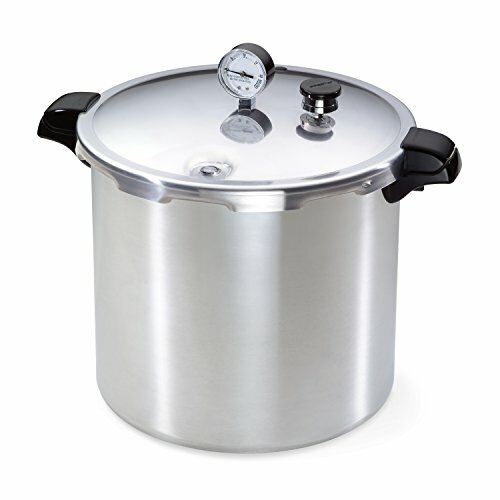 Not only does it function extremely well, but it is far cheaper than some of the other pressure canners and cookers available. If you do pick up the Presto 23-quart pressure canner/cooker above, I highly – and I mean highly – recommend that you also purchase THIS Presto Pressure Canner Regulator. I canned for three years before stumbling across this beauty, but I will never can without again. It regulates the pressure in your canner using weighted rings and makes it so you don’t need to stand over your canner for the entire processing time. In fact, it made it so I could check my canner every 15-20 minutes to make sure it was maintaining pressure instead of every 2-3 minutes without it. Ever canner must have certain tools in their canning supplies to help make things easier, keep them from getting burned and so on. 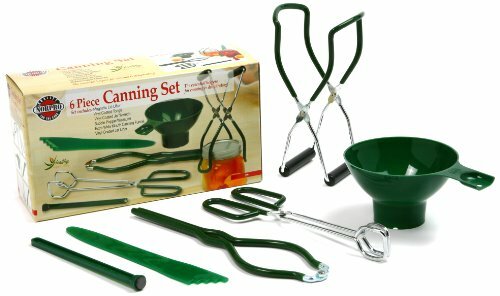 THIS Norpro Canning Essentials Boxed Set contains 6 different canning tools that you will need including a jar lifter and tongs. 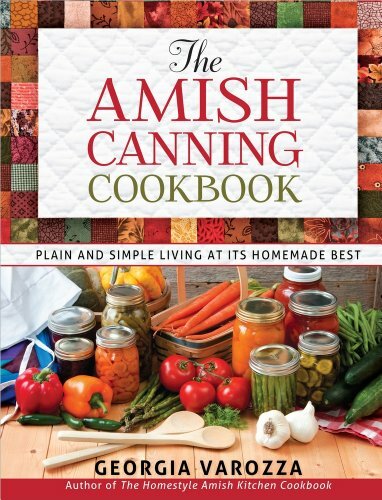 The Amish Canning Cookbook found HERE is one of my favorite canning recipe books. It’s packed full of ways to can and different canning recipes to help you build your homestead pantry quicker and easier than ever. If you’re first beginning to can, and you’re building up your canning supplies, make sure you stock up on lids and rings. As I told you in my post where I showed you how to can foods for long term storage, lids can not be reused. 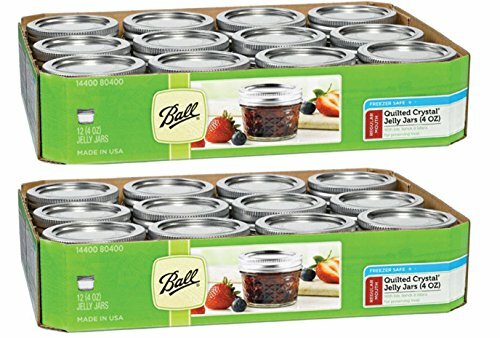 THIS deal on Ball Canning Lids is a fairly decent one for anyone wanting to purchase them in bulk. 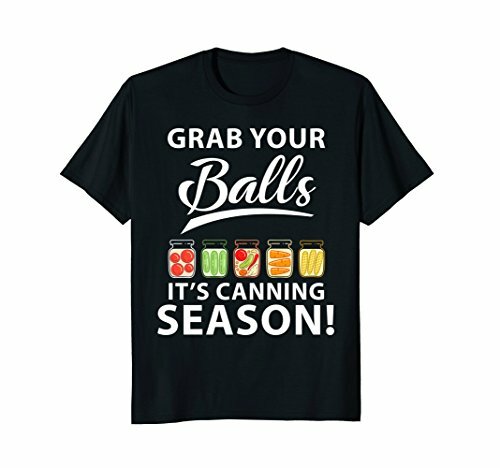 I confess that this isn’t one of those must have canning supplies you’ll need to actually can, but as someone who does can my own foods, I totally need THIS Grab Your Balls Its Canning Season T-Shirt and so will anyone on your gift list! As a fairly recent approved method of safe canning, THIS Aluminum Steam Canner with Temperature Indicator is the perfect addition to anyone’s canning supplies and makes a fantastic gift idea for the person who loves to can on your lists! If you’re planning on canning your favorite homemade jam recipes, you’ll want to pick up THIS Stainless Steel Canning Accessories Food Press with Wooden Pestle to help with the process. Side note: Want to learn how to make jam but aren’t sure where to start? Crafty offers jam and marmalade making classes HERE. 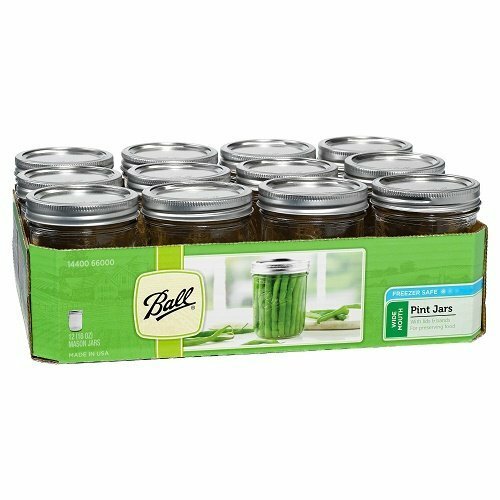 If you’re planning on making jam or you’re buying a gift for someone who does, you can’t go wrong with these Ball 4-Ounce Quilted Crystal Jelly Jars with Lids and Bands. Along the lines of the jelly jars, almost every canner I know uses these Ball Quart Jars with Wide Mouth. They’re the perfect gift for a canner who is looking to build their canning supplies! 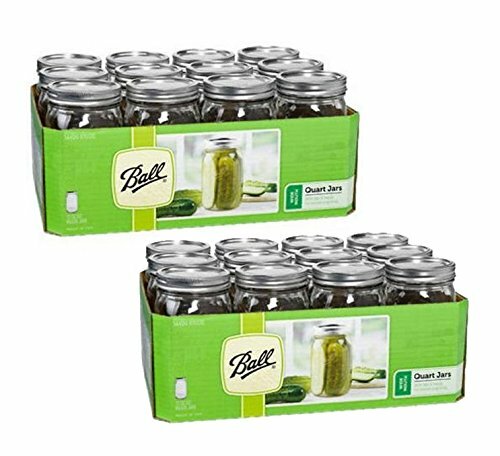 Another must have gift idea for people who love to can are these Ball Wide Mouth Pint 16-Ounce Glass Mason Jar with Lids and Bands. Again, they are sure to be a help to anyone building up their canning supplies. The biggest thing to remember when you’re buying canning supplies as gifts is that for a canner, even the most basic items will be welcomed as a well remembered gift. Looking for more canning supplies and canning themed gifts? Check these out!